Today we saw some whales! Today, as part of our Just Safari Tour, we went to a unexplored beach for delicious lunch on the seashore. While we were eating on the horizont we saw something to move. Wow! 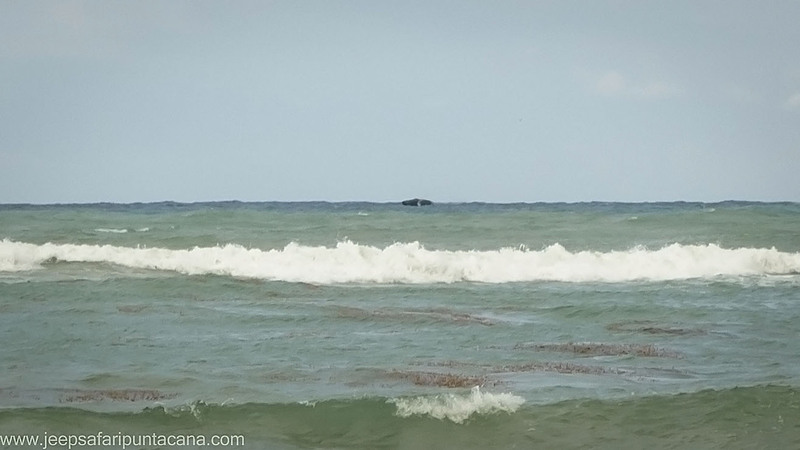 We saw a flock of whales that are always coming at this time of the year in the waters of the Dominican Republic to mate. Luckily my husband had a camera and was able to get a photo of them. We were all fascinated by the scene in front of us.